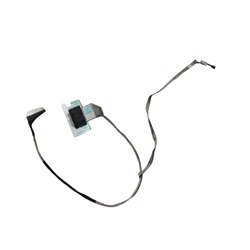 Description: New genuine Acer replacement laptop/tablet lcd led lvds screen cable. For the models listed below there is more than one lcd cable. Please make sure that you are ordering the correct one. Part #'s: 50.M03N2.004, Q5WV1_LED_WIRE, DC02001FO10. Acer Aspire E1-531, E1-531G, V3-531, V3-531G, V3-571, V3-571G.